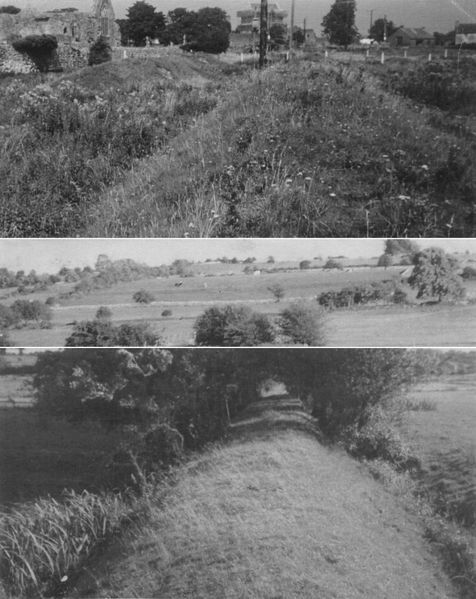 Inner-ward dykes around Athenry (top). Turoe set of embankments, one forming the lower field fence, another across the slope of the 2nd field up (centre). 24 ft wide avenue-like transverse dyke (lower) across this Turoe inner-ward set.